Home » National Report » 60,000 People Are Killed Every Year from Medical Care in Canada - But Chiropractors Are a Danger to Public Health? In February 2018 the Canadian Pediatric Society reaffirmed their Position Statement on Chiropractic Care for Children. 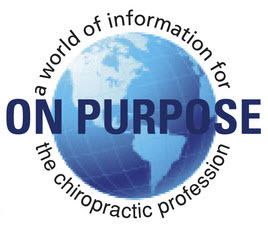 The Position Statement was written by long time critic of chiropractic Linda S. Spigelblatt MD, FRCP(C) who is Associate Professor of Pediatrics at the University of Montreal. 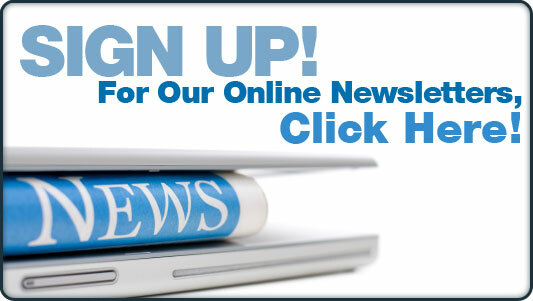 Recently news media in Canada have picked up on the story and word has spread around the world through social media. The attacks are the same old tired nonsense that subluxation deniers and chiropractic haters have been spreading for 100 years. One would think that given the Wilk trial and the fact that the AMA was found guilty of conspiring to destroy the profession of chiropractic through an orchestrated campaign that included the restraint of trade and an illegal boycott that we would not have to deal with this any longer. Think again. The fact that the AMA was found guilty of conspiring to destroy the profession of chiropractic through an orchestrated and illegal campaign means nothing to these people. 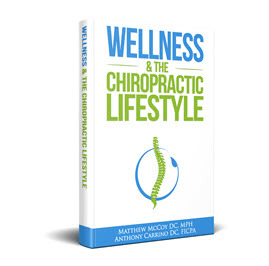 Organized medicine is the biggest money maker on the planet and given the fact that they are in the top three leading causes of death on the planet they have every reason to use whatever means necessary to stop the chiropractic profession from doing what it does. 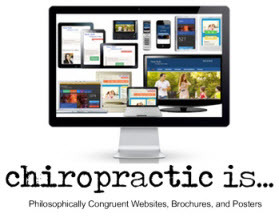 These organized attacks against chiropractors are laughable given the chiropractic profession's record of safety and efficacy including the care of pregnant women, newborns and children. The reality is that organized medicine has complete cultural authority so when they kill several hundred thousand people every year and you wonder why they aren't dragged before the government to answer for it - you understand the power of cultural authority. The medical profession can kill hundreds of thousands of people every year and no one even raises an eyebrow. 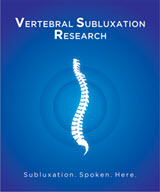 Instead they say - hey look at what these crazy chiropractors are up to. Helping families be healthier using only their hands and no invasive or dangerous drugs or surgery. Someone stop them! What they are engaging in while the media goes right along is a whole series of logical fallacies they know most people won't take the time to figure out. "In Canada, medical errors and hospital-acquired infections claim between 30,000 and 60,000 lives annually. Thousands more are injured. Then there is the ocean of emotional harm that engulfs families when a loved one is lost to the kind of hospital mishap experts say is often preventable." Hospital-acquired infections alone kill between 8,000 and 12,000 Canadians every year. All of this makes medical providers the third leading cause of avoidable death every year. In 2014 for example, preventable medical errors killed more than 30,000 Canadians - more than stroke, diabetes, kidney disease and Alzheimer’s, combined. That's just errors - that's not counting the ones who died from properly prescribed and properly administered medical treatment. How many Canadians did chiropractors kill in 2014: Zero. "Administrators will not disclose the actual number of safety events that occur at the hospital. According to Apkon, going public with error rates could backfire by making various departments look bad. Even if the hospital could provide context for the error rates, public reporting could deter employees from reporting mistakes. 'It’s a tough balance,' he said." According to another Canadian hospital adminsitrator "Between juggling the number of patients in beds, making sure care gets delivered and that money is being saved, said Musing, 'I think somehow safety has been lost in the shuffle' at many organizations." Come on people - they are busy and have other things to worry about besides all the people dropping dead around them. "But by far the greatest reason why there is little pressure to make hospital harm more visible and demand safer patient outcomes is that, in Canada, hospitals and governments are joined at the hip. If you criticize hospitals, you are taking on the government. And that's no exaggeration. Governments are the main funders of our hospital system. And Canadian provinces contribute as much as 100 per cent of the cost of a doctor's liability insurance coverage. As I described a few months ago in this space, this has helped to create the monolith that is known as the Canadian Medical Protective Association (CMPA). With a war chest in the billions of dollars, the CMPA throws its weight into defending doctors in court actions and even in complaints made before professional regulatory bodies like the Ontario College of Physicians and Surgeons. As many patients or surviving family members tell me on a regular basis with their tearful stories, the CMPA is the 800-pound legal gorilla that ordinary folks can't compete against. This, coupled with other woefully inadequate government mechanisms for redress when harm occurs, can quickly take all the oxygen out of a family's quest for accountability." But chiropractors are the problem? According to an article in Canada's National Post titled: Inside Canada's Secret World of Medical Errors, There is a lot of lying, there's a lot of cover-up. 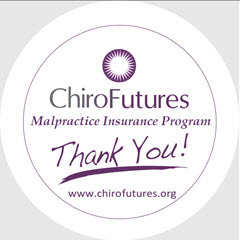 "Research suggests that about 70,000 patients a year experience preventable, serious injury as a result of treatments. More shocking, a landmark study published a decade ago estimated that as many as 23,000 Canadian adults die annually because of preventable “adverse events” in acute-care hospitals alone." They knew this 10 years ago - what did they do about it? How do they get away with killing so many people every year and no one does anything? Well for starters, according to the Post, there is no routine, public documentation of malfunctioning medical devices that are linked to dozens of deaths and hundreds of serious injuries every year. “Learning from these things, even when a good investigation is done, are going into black holes. They’ve created this perfect, invisible box to put everything in." Such cases they wrote "occur in a vacuum, most not reported at all and virtually none described with any kind of narrative." Making matter worse according to the Post is that ". . . legislation in most provinces bars information on adverse events being released to malpractice plaintiffs or publicly divulged under freedom-of-information acts. The laws are designed — with limited success — to encourage internal reporting of mistakes." Its all kept a big secret. Meanwhile blame the chiropractors. "The researchers examined patient charts at a representative sampling of 20 acute-care hospitals. They found that 7.5% of adult patients — which extrapolates to 185,000 a year countrywide — suffered a serious adverse event, almost 40% of which were preventable. Between 9,000 and 23,000 people die annually from preventable error, they concluded." And since the focus of the latest Canadian attacks on chiropractic deal with kids - what are the MD's doing to Canada's most vulnerable victims of medical error? "Eight years later, a similar study looked at pediatric patients, finding the rate at which children are hurt by adverse events was even higher, 9.2%. And, if anything, the numbers may have climbed since." Not yet convinced that medical doctors are a threat to public health in Canada? "As it turns out, 138,000 – or one in every 18 – patients admitted to a Canadian hospital in 2014-15 suffered some kind of harmful event that could potentially have been prevented, from getting the wrong drug to developing an infection." They go on to report that of those 138,000 patients, about 30,000 had more than one adverse event and of the 138,000 patients identified in the report, 17,300 died while in the hospital. That's one out of every eight. According to the Global News article, patients who experienced an adverse event spent an extra four days on average in a hospital bed resulting in over than half a million additional hospital days and represents a cost of $685 million. But lets put a stop to these chiropractors.